Джаз от Ленинграда до Петербурга. Время и судьбы. 2-е изд., испр. и доп. Второе издание рассчитано не только на «присягнувших джазу», но и на широкий круг читателей. 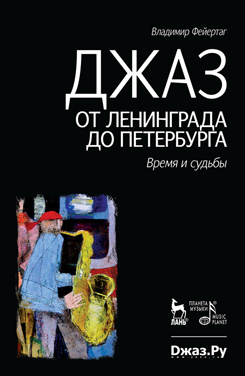 «Jazz from Leningrad to Petersburg» is a book about jazz in the city on Neva river. Author is a participant of many events, an organizer of concerts and festivals, so the book is based not only on documents, but also on author's memoirs. That's why jazz history is represented as a part of autobiography with an irony on the author's past live and perception. And at the same time this book is a love confession to author's native city, its culture and people. The second edition of the book is intended for all jazz lovers.